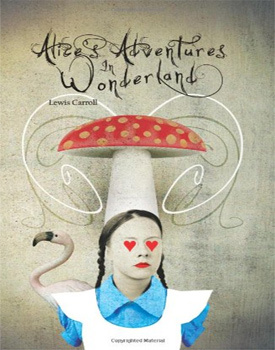 Lewis Carroll's Alice's Adventures in Wonderland, a story about a curious girl who falls down a rabbit hole and discovers a magical, nonsensical world, celebrates its 150th anniversary in 2015. 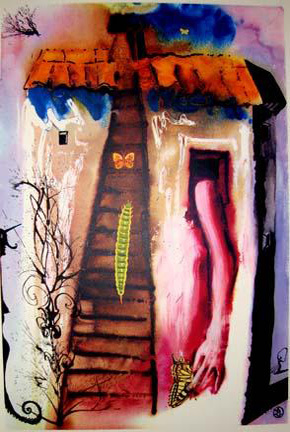 Read by millions of children and adults alike around the world, this iconic book has been translated into at least 97 different languages and continues to be published in various forms. 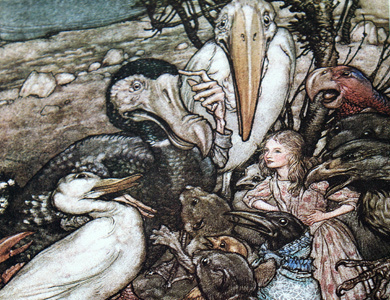 From Sir John Tenniel to Arthur Rackham and Margaret Tarrant, this book has had many artists interpret the classic story with unique illustrations. 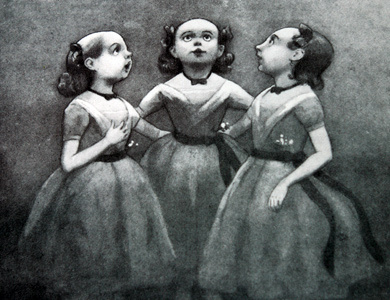 The origins of the story began when Carroll went on a boat ride down the Thames with three young girls - Alice, Lorina and Edith Liddell who encouraged Carroll to tell them a story. He continued the story on other outings with the Liddell children and eventually started to write it down. 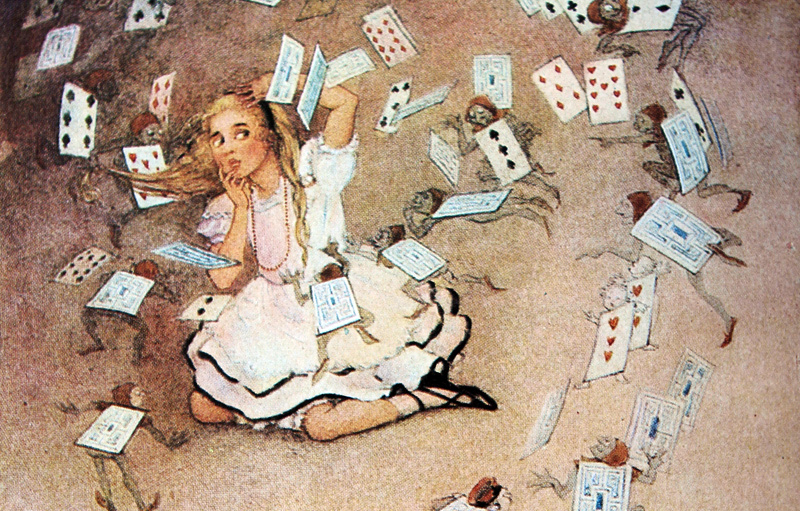 Two years later, the story of Alice was published. 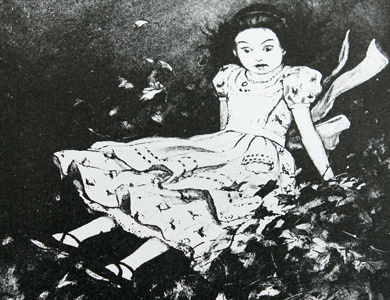 The original manuscript (which was called Alice's Adventures Under Ground) was illustrated by Carroll but when it went to print, he thought a professional artist should be responsible for the illustrations. 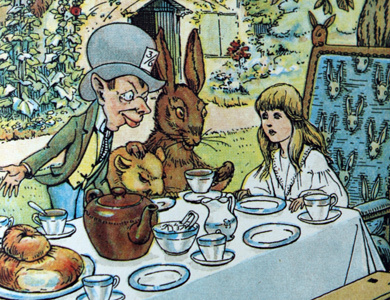 Sir John Tenniel, a well-known artist at that time, worked closely with Carroll and provided the first illustrations for the book. 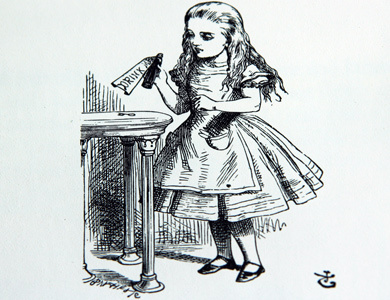 However, when the book was sent to be published, Tenniel rejected the first print run due to the quality and a different version was released in December 1865. 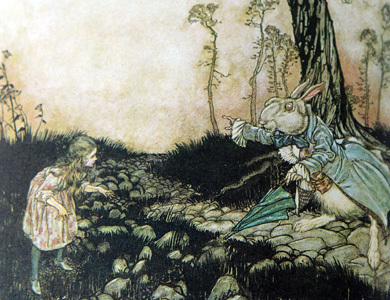 From the hookah-smoking caterpillar to the grinning Cheshire cat, the perpetually late white rabbit, the maniacal mad hatter and the foul tempered monarch as well as the beloved Alice, all of these characters continue to enthrall readers of all ages, 150 years after the publication of this classic, iconic book. 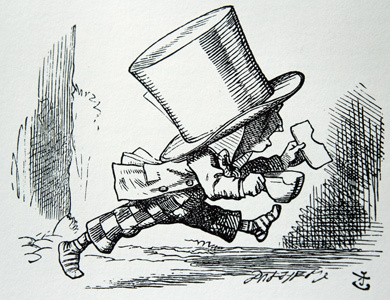 Sir John Tenniel was an English illustrator most famously known as a political cartoonist and the main illustrator for Alice's Adventures in Wonderland and Through the Looking Glass. 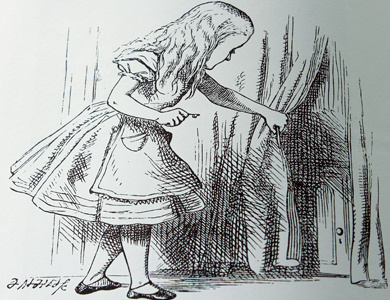 In total, Tenniel drew 92 drawings for both books in his signature style of pencil drawings which were then transferred to wood blocks. 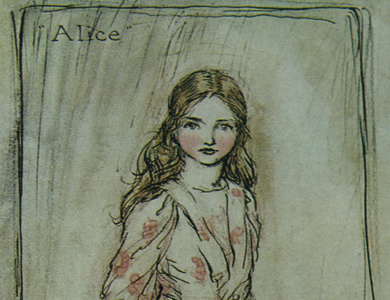 According to The Alice Companion by Jo Elwyn and J. Francis Gladstone, in 1981 the original wood blocks were found in a bank vault and are now at the British Library. 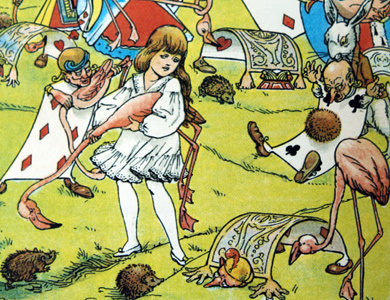 In 1893, Tenniel was knighted by Queen Victoria, the first time ever such an honour was bequeathed to a cartoonist or illustrator. 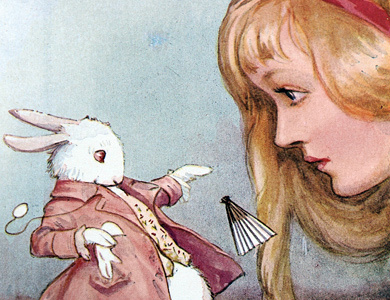 Arthur Rackhams' illustrations in the 1907 limited edition version of Alice's Adventures in Wonderland solidified his reputation as being the premier illustrator of the early twentieth century. 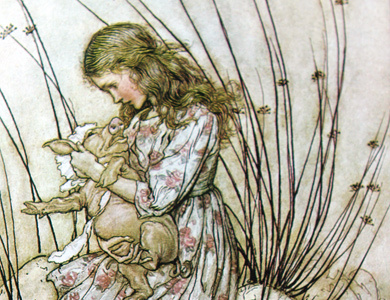 Born into a family with 12 children, Rackham studied at the City of London School where he was awarded prizes for his work. 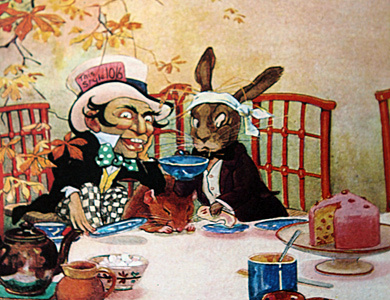 Rackham's style varied between bright splashes of color to muted, subtle tones as seen in Alice's Adventures in Wonderland. 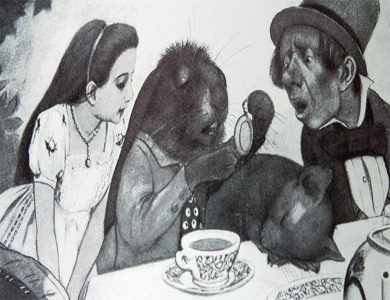 Gwynedd Hudson was most famously known as an illustrator, poster artist and a figure painter. 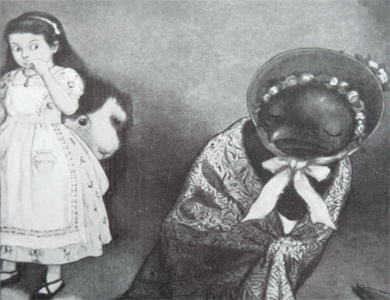 Hudson's illustrations for Alice's Adventures in Wonderland highlight darker tones with a slightly menacing atmosphere. 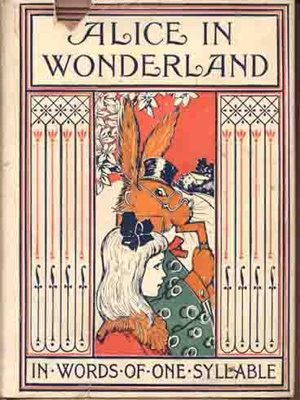 This limited edition was published by Hodder & Stoughton in 1922. 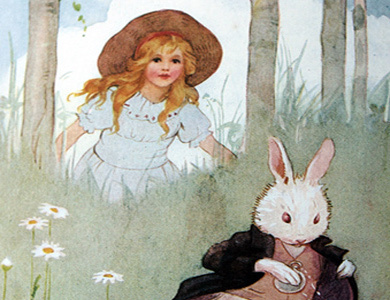 These lovely illustrations were created by Margaret Tarrant (1888 - 1959), an English artist and author who specialized in depictions of fairy-like children and religious subjects. 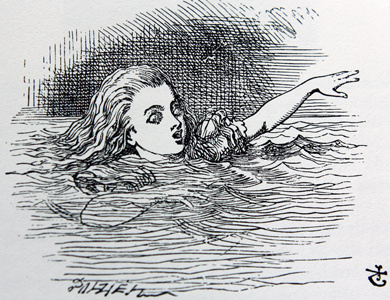 Tarrant became well known for her work in Charles Kingsley's The Water Babies. 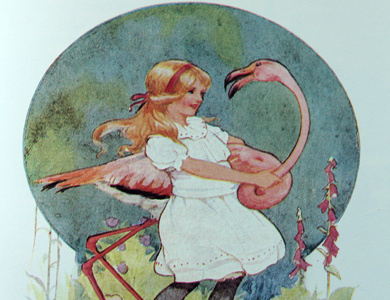 Peter Newell (1862 - 1924) was an American author and artist and was the second major artist after John Tenniel to illustrate Alice's Adventures in Wonderland. 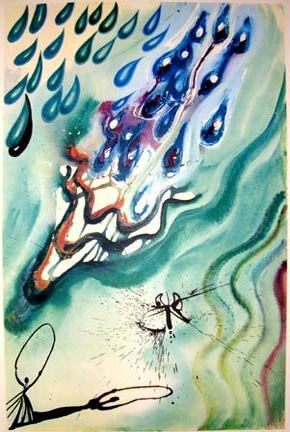 Newell specialized in humorous poems and drawings which appeared in several popular publications including Harper's Bazaar, The Saturday Evening Post and Scribner's Magazine. 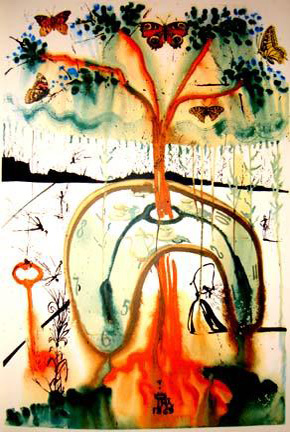 W.H. 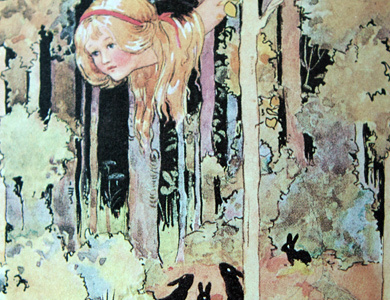 Walker contributed illustrations to the Alice edition published by John Lane in 1907. 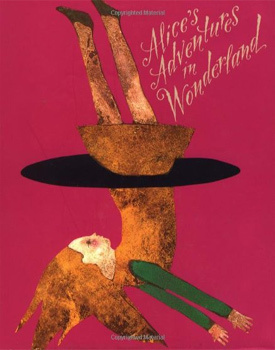 Various bindings for the edition including Walker's art were published including a leather cover, blue cloth, paper-covered boards and suede. 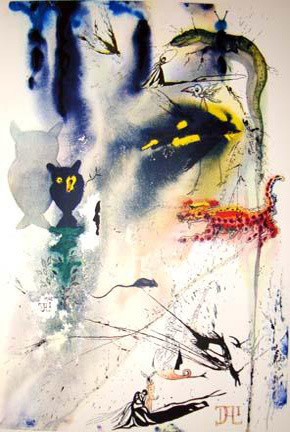 In 1969, the Spanish artist, famous for surreal melting clocks, illustrated Alice's Adventures in Wonderland. 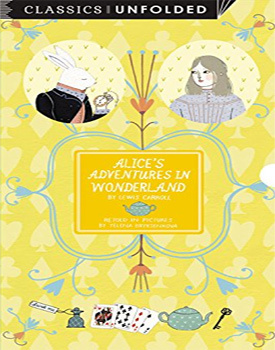 Only 2,500 copies were produced and one of them sold for five figures on AbeBooks in January 2014. 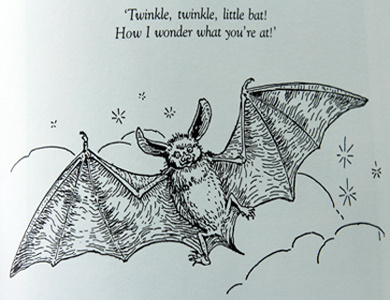 Published in 1905 by A. L. Burt of New York, this book for young readers was part of a series of "One Syllable Books". 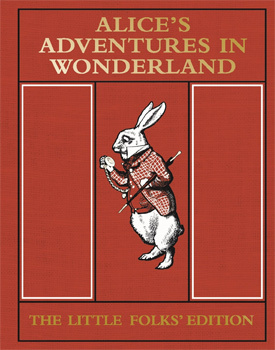 This edition includes the illustrations by John Tenniel. This edition comes with an Art Deco inspired cover and includes 6 full page colour lithographs by Marie Laurencin (1883-1956). 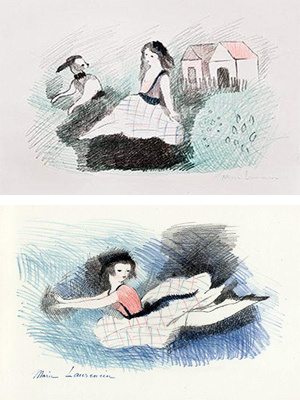 Laurencin was a French painter and stage designer who illustrated several books and was part of the circle of artists that included Georges Braque, and Pablo Picasso. 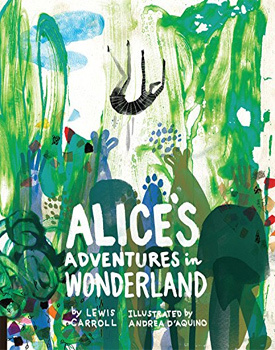 Alice's Adventures in Wonderland featuring original art by over 50 artists. A 15 piece tea party set in the original pictoral box. 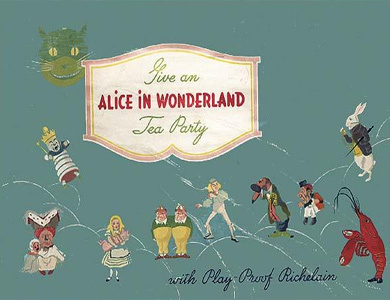 Includes Richelain plastic dishes which have images of Alice on the sides of two pitchers and the sugar bowl. 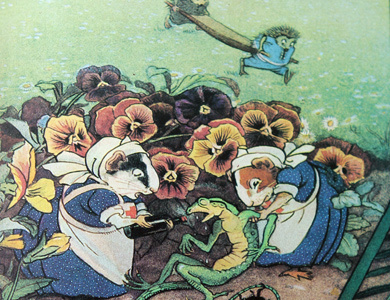 Other dishes have verses based on the story to help teach children manners. A book containing six square handkerchiefs made of Irish linen. 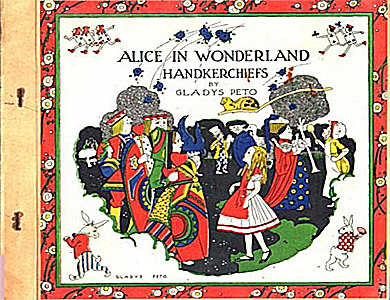 Each handkerchief has a colored scene from Alice as interpreted by Gladys Peto - an English artist, fashion designer, illustrator and author of children's books. 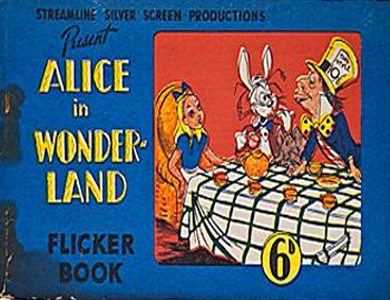 Published in 1950, this 'flicker book' is a stapled softcover that shows action as the pages are flipped. 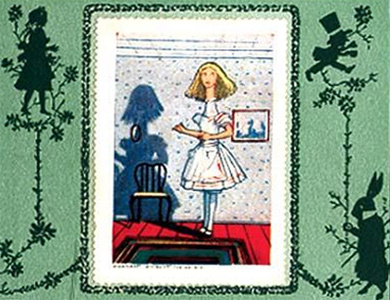 Opposite of each page of text is a pictorial border where the reader can affix corresponding stamp. 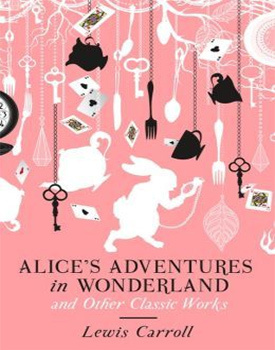 Includes 13 Alice themed stamps. 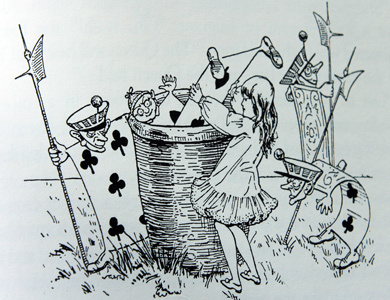 What's your favorite character from Alice's Adventures in Wonderland?